I have a very nice 20 key C/G Anglo Lachenal that dates back (depends on who you talk to) to either 1925 or 1885. I am very pleased with it and have had it for about 7 years. 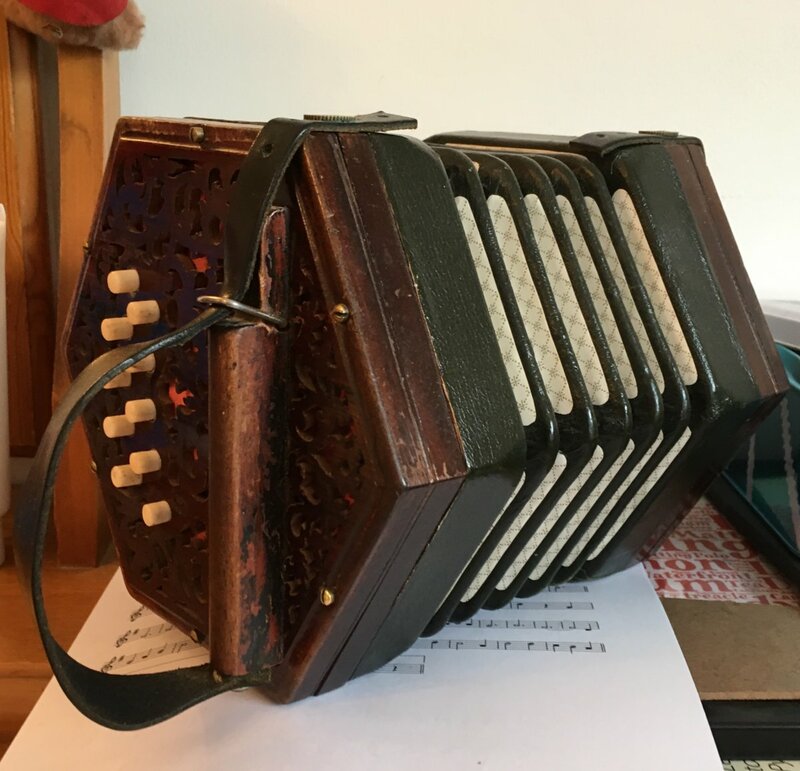 I am looking to purchase a 30 key C/D which has to match my existing concertina in terms of sound quality. I have a budget of close to £1,000. I attach an image of my current instrument for comparison purposes. Hobgoblin have one for £750 but it has brass reeds so will probably not meet the sound test against my steel reed 20 key. Does anyone have anything for sale that might meet my needs? I might consider a part exchange, in which case my budget is somewhat higher. I live in Ipswich, UK but can travel a reasonable distance to try out. Do you mean G/D ?